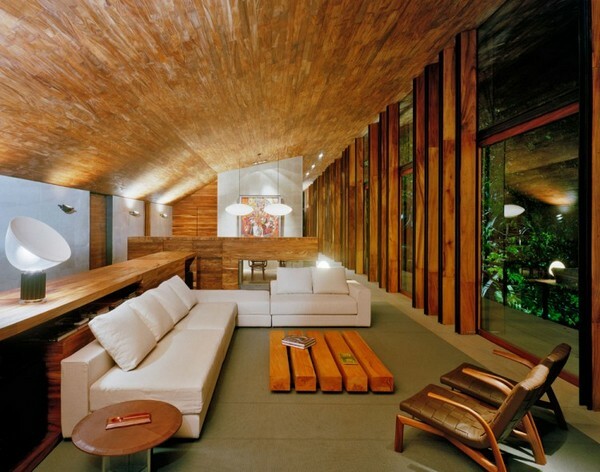 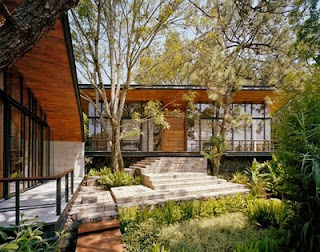 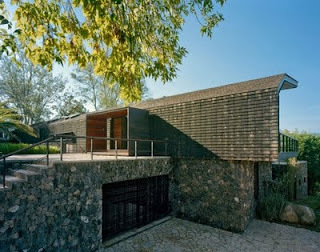 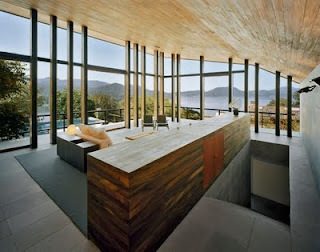 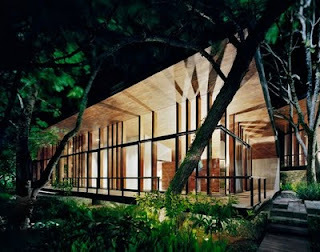 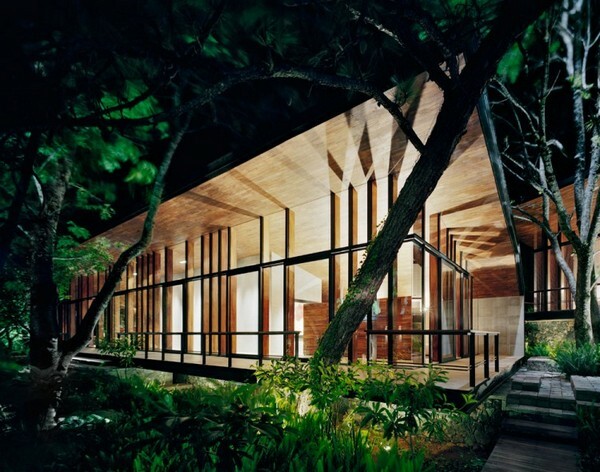 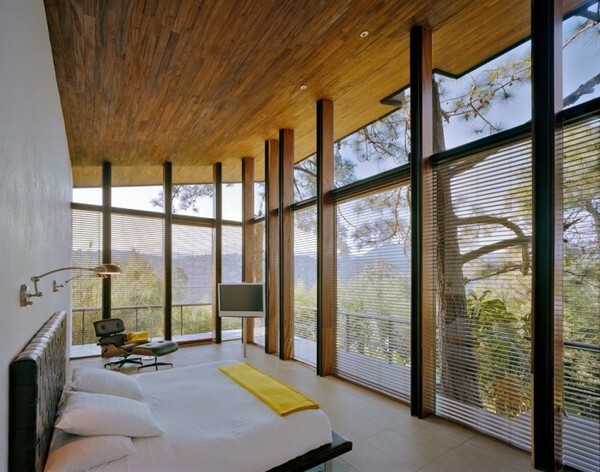 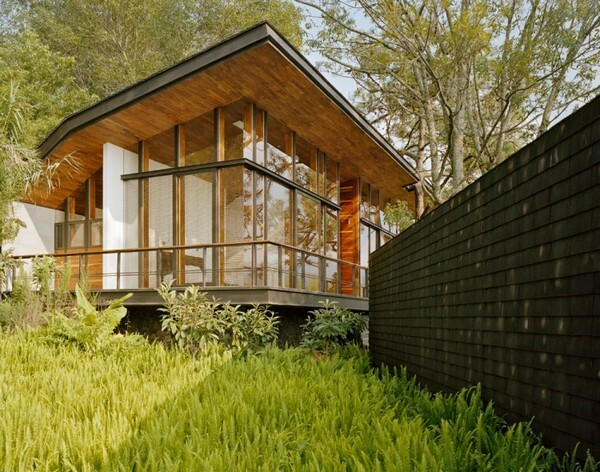 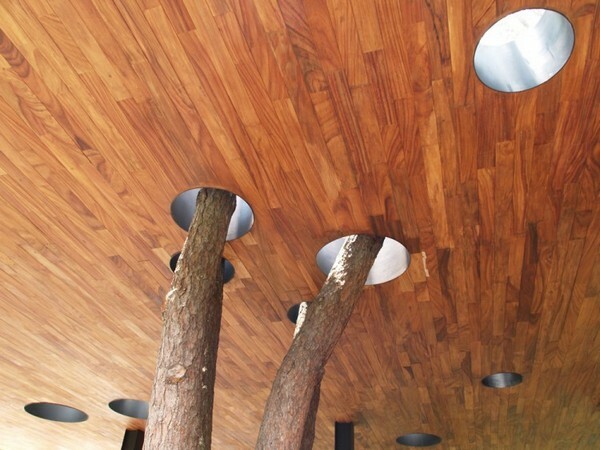 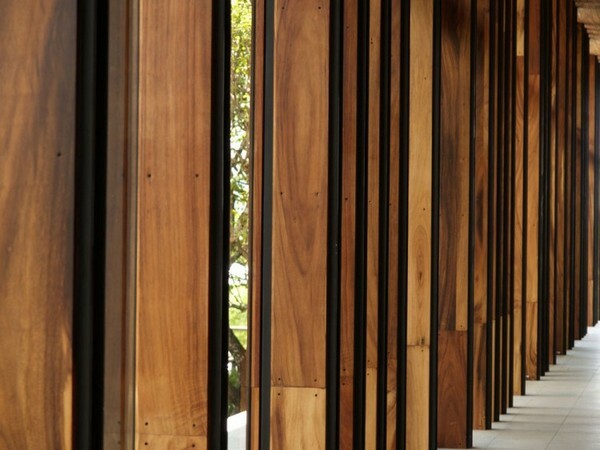 House in the Woods was designed by studio Parque Humano and is located in Valle de Bravo city in Mexico State. 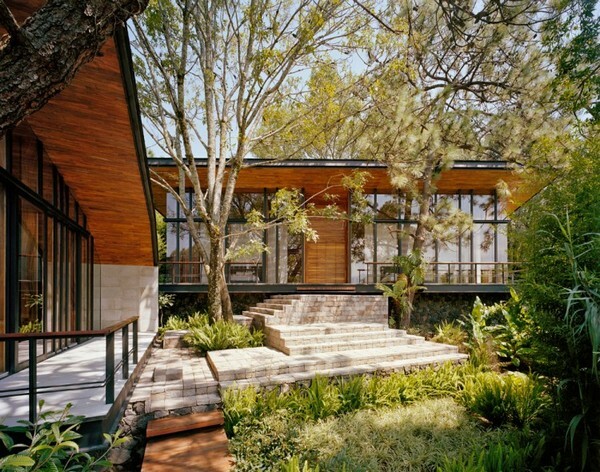 The residence was integrated within a picturesque forest area and overlooks Avándaro Lake. 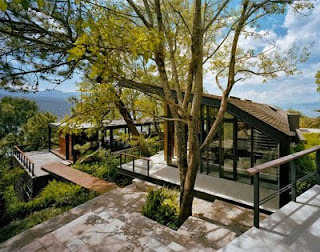 Strong visual connections were created by the architects at different elevations in order to forge a strong indoor outdoor connection. 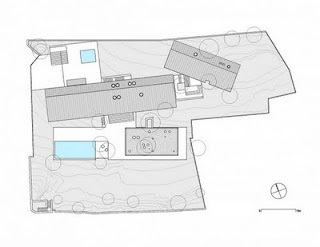 Here is more on the structure of the building from the project developers: “The cladding of the house evolved progressively in order to fit into the context of the town. An artisanal clay veneer was specially developed for the project, similar in texture to the traditional houses that you notice in the area. 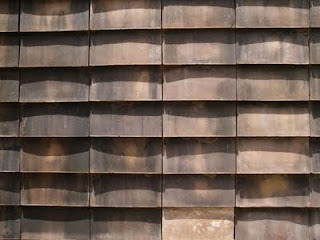 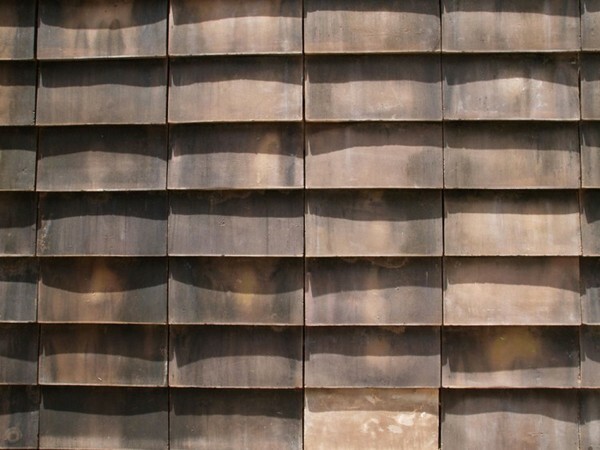 Its reaction to the weather causes the material to change constantly in response to varying levels of humidity. 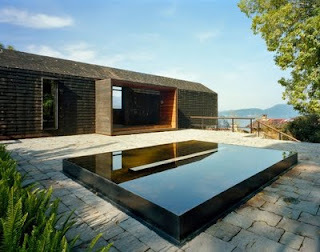 Two pavilions, unequal in size, are set in front of the pool area. 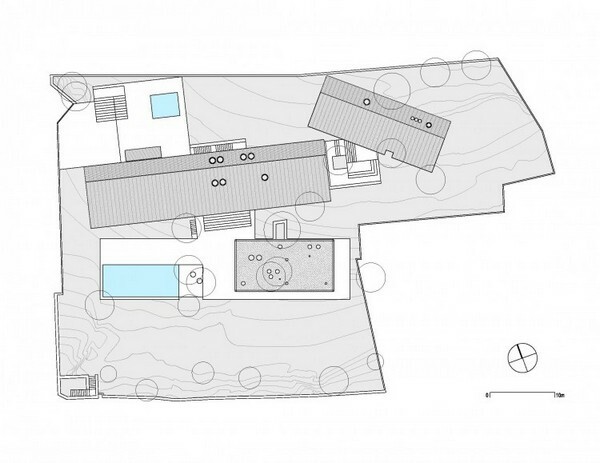 The first and biggest one contains the living and dining spaces, kitchen and a working studio. 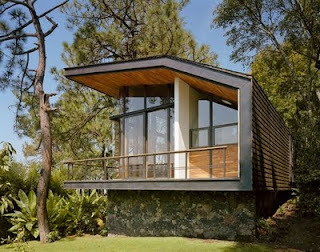 The second one: two bedrooms. Each pavilion was carefully placed on the site, incorporating all the existing trees into the program and facing the most important views.” Does this not look like the perfect nature getaway?